Facebook now introduced an option where admins can modify their fan/product/service pages in the way they want it to appear. Next few weeks, including millions of active small business Pages worldwide will get the new look. This awesome makeover comes with increased control for owners over the functionality of their Pages efficiently. Facebook offers admins two weeks to update their Pages. They have to do it before switching to the new design. 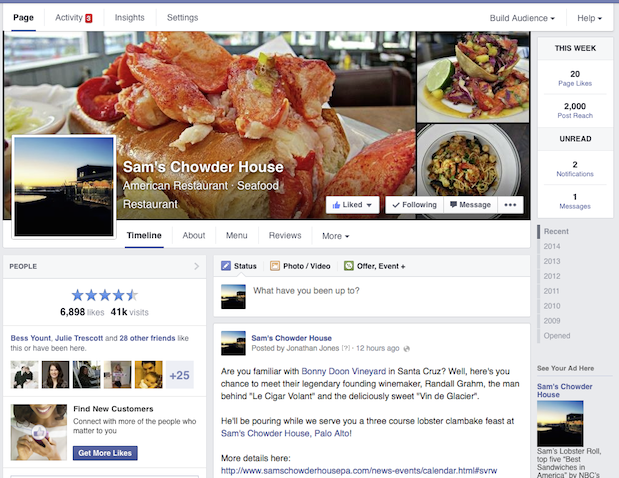 Facebook pages will automatically updated to the new design 14 days after the page view. Activated messages pages can be viewed in the Activity tab at the top of the Page above the cover photo. The box that can be found on the right side of the Page this week.